Last month, my family should have been helping my brother celebrate his 40th birthday. Having been denied the opportunity of organising parties, balloons and embarrassing photos, we are having to seek alternative ways to mark what should have been a milestone celebration. To do this, it would mean an awful lot to us if we could encourage 40 organisations to mark IWMD in their workplaces. But “what is IWMD?” we hear you cry. It’s International Workers’ Memorial Day (IWMD), which takes place annually on 28 April and is now a firm fixture in our calendar. It is a day when those who have lost loved ones in work-related incidents or due to work-related illness join together with others, to remember our dead and renew our commitment to fight for the living. We would LOVE to mark (what should have been) Michael’s 40th year by encouraging at least 40 companies to join us in promoting this day by either raising awareness, funds or taking action to improve the safety results of your business. TELL ME HOW OUR ORGANISATION CAN BE ONE OF THE 40! We hope that you will be able to support this initiative in your workplace. If you do, we would love it if you let us know so we can keep track of whether we make it to the big four-O. If you’re happy for us to do so, we’ll publicise your actions here on the Michael’s Story website and social media channels, with the hashtags: #mickeytam40 #IWMD19. Many people already mark the World Day for Safety and Health at Work on 28 April. If so, we’re going to ask you to have a re-think...let us explain why. The Heron Bridge collapse was Ontario’s worst workplace disaster. On the afternoon of August 10, 1966, a 160-foot span of a new bridge dropped hundreds of tons of half set concrete 60 feet into the river valley below. Nine workers died and a further 55 were injured. It is within sight of this bridge that the Canadian Labour Congress placed its National Monument to Workers Killed and Injured Each Year at Work. And it was in 1987, on 28 April – the anniversary of the Workers’ Compensation Act coming to pass – that Canadians first began marking Workers’ Memorial Day. IWMD has since grown to being marked in more than 100 countries worldwide. It is a mystery to us just why the ILO determined in 2001 to use 28 April as a day that they would call World Day for Safety and Health at Work, we’re unsure why the change of focus was deemed necessary. We would urge you to maintain the focus on commemorating the lives which have been lost, and finding ways to prevent any such future loss of life. My brother has been denied the opportunity for his life to begin (again) at 40. But, we hope that through his passing we can ensure others absolutely get that opportunity and we are eternally grateful for your help in doing that. Are you looking for an inspirational safety speaker with a real-life story? 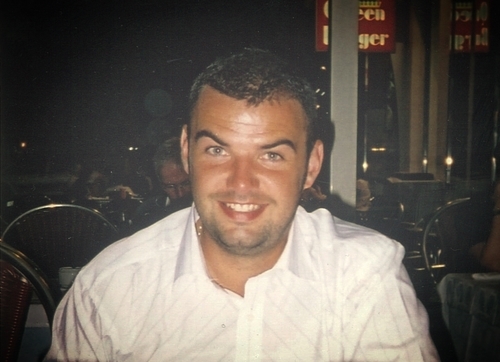 Michael Adamson was an experienced spark who died having been electrocuted at work. He can't tell his own story. Instead, his sister Louise Taggart now finds herself in the role of safety speaker, seeking to inspire improved health and safety behaviours at every level of a workplace, be that the directors, management, supervisors, operatives or apprentices.